About me I m Zeeshan SHoukat From pakistan. 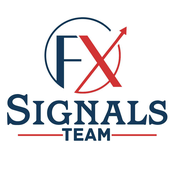 I m Forex Trader Experince 6 Year . Gold Ready to flying Gold posted today an outside white candle. The EURUSD has held the 61.8% Fib of the last move higher twice in a row but unless we break below 1.1662 ore above 1.1850 there is not much to do. Eurjpy Bat pattern and possible reversal at trend line. Revised, this could be a Bat pattern and possible reversal at trend line. It has been very strong today, so caution is warranted. Possible intraday gartley reversal hourly chart for EURJPY which could point back to the 132.500 level.